Tampa personal injury attorney C. Todd Alley is AV-rated by Martindale-Hubbell. He has concentrated his practice in the fields of personal injury, medical device, mass torts, and complex products liability litigation. As a Tampa personal injury attorney, Mr. Alley has been instrumental in the firm’s successful representation of thousands of injured clients in various complex product liability and mass tort claims. The successful conclusion of these cases has resulted in our clients’ having recovered in excess of $300 million over the past two decades from the makers of various dangerous drugs and unsafe medical products. These cases have involved claims against diet drug manufacturers, the makers of artificial heart defibrillators, big tobacco, silicone gel breast implant manufacturers, ProtoGen bladder slings, hernia mesh products, and different manufacturers of artificial hip and knee joint implants, as well as claims involving Baycol, Vioxx, Bextra, hormone replacement therapy drugs, and certain types of female birth control products. 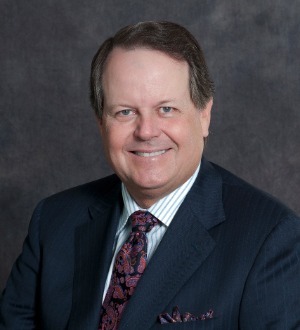 Mr. Alley graduated from the University of Florida in 1978 and received his Juris Doctor degree from the University of Alabama in 1980. Mr. Alley is very active in his community having served on various charitable organizations including being a former board member of the Florida Chapter of ALS, University of Florida’s Gator Boosters, and the Gasparilla Scholarship Foundation. Mr. Alley was recently selected by his peers for inclusion in The Best Lawyers in America© 2019 in the fields of Personal Injury Litigation, Product Liability Litigation, and Mass Tort Litigation. Since it was first published in 1983, Best Lawyers has become universally regarded as the definitive guide to legal excellence. Mr. Alley has been selected annually since the year 2014 by Super Lawyers as a top personal injury attorney in the State of Florida for his experience and professional achievements.